The club's RYA approved School runs many courses for both non-members and any club members wishing to improve their skills. The Sailing School promotes sailing as a way of introducing people to one of the UK's top dinghy and catamaran sailing clubs. The school provides first class tuition using the best modern equipment and is recognised and inspected by the RYA. Outlines of the courses available are shown below, for further details on availability see our Course Schedule. To discuss which course might be most suitable for your please email to learnsailing@sailbrightlingsea.com or phone Craig on 01206 304810 or 07894 507812. Click here for course prices and to download the course booking form. For absolute beginners and those wanting to find out about our Club we offer our dinghy sailing taster sessions. 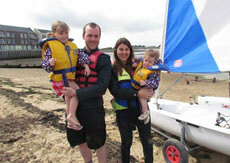 This is for you if – you have never sailed before or had limited experience and want to see if you like dinghy sailing. We start with a briefing about safety and how the boat works and then you sail in our waters for a couple of hours with an experienced helm. No previous experience is necessary and we provide the appropriate equipment. Cost is just £25. These two-day Beginner Dinghy Sailing Courses, designed and run for adults, have proved very popular over the last 5 years. 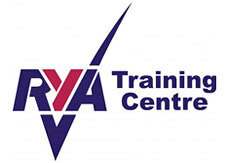 Resulting in the RYA Level 1 and Level 2 sailing qualification these courses are an excellent introduction to sailing or a way to gain confidence and brush up your skills. Beginner Level 1 is aimed at the absolute beginner. It provides an introduction to sailing including how to sail in all directions and an awareness of launching and recovery. By the end of the two days you will be able to sail in light winds under supervision. Beginner Level 2 is aimed at those with Level 1 or equivalent experience. Its aim is to consolidate your basic knowledge of sailing, develop an awareness of safety and by the end of the course to be capable of sailing a dinghy without an instructor on board in light winds. The courses run from approximately 09.30 to 17.00 each day and are led by a Senior RYA instructor. As a good starter to dinghy sailing it is advised that you take both level 1 and level 2. These four-day courses cover a wide range of dinghy sailing skills, leaving you well on the way to becoming a confident small boat sailor. Students are aged between 10 – 16 years to start on these courses. The beginner stages 1&2 will incorporate launching and recovery, steering, parts of the boat, basic sailing and collision avoidance. Stages 3 & 4 provides instruction in rigging, sailing techniques, capsize recovery/man overboard and sailing theory. By the end of these youth courses students will be able to launch and return to the beach and sail around a triangle course in moderate conditions. The courses run from approximately 09.30 to 17.00 each day and are led by a Senior RYA instructor with a limited student to instructor ratio. These sessions (often on Wenesday evenings) are for members who have attended basic training courses with the Sailing School or who are looking to gain confidence by sailing with a small group of others. Guidance and encouragement rather than detailed tuition is the format here with limited numbers and an RYA qualified instructor to help you. Each session lasts from 18:00 to 20:00 and is free if you have your own boat or just £10 to borrow a club boat. 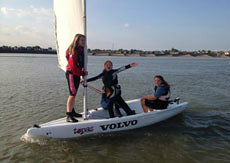 The next dates for Development Sailing sessions can be viewed here. If you cannot find exactly what you want with our programmed courses or want to learn in a different way why not take advantage of our individual tuition at any level. Each tuition session lasts 3 hours and takes place with a qualified RYA instructor. 1:1 tuition can work for novices who want close instruction, intermediate sailors looking to progress their sailing confidence and advanced sailors looking to develop particular skills. Why not give Craig a call on 01206 304810 or 07894 507812 and work out a sailing development plan that suits you.